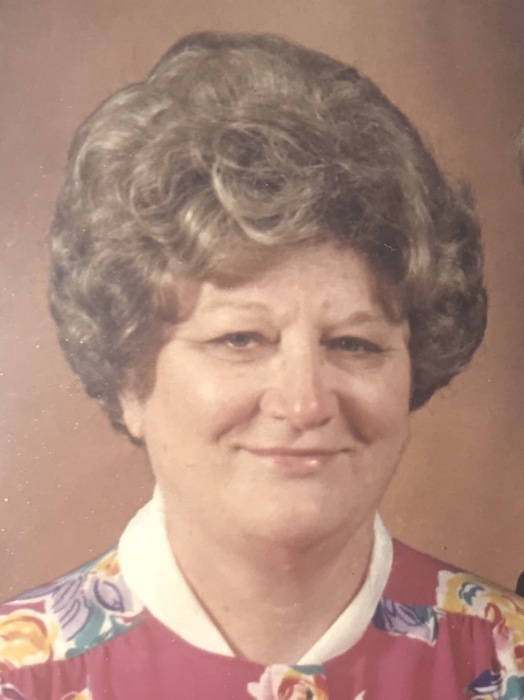 Betty Jean Arrowood Thomason, age 80, of Cliffside, died Friday, March 22, 2019. She was a native of Rutherford County and the daughter of the late Cleveland Arrowood and the late Willie Sue Hall Arrowood. She was a member of Shingle Hollow Congregational Holiness Church. She loved to cook and was a loving wife, mother and grandmother. In addition to her parents Betty was predceded in death by her husband Levi Caldwell "Buddy" Thomason, two brothers; Gaines Arrowood and Talmadge Arrowood and one sister Margie Jolley. Sheila Vance and her husband Jeff of Navarre, FL. The visitation will be from 1:30 pm to 3:00 pm Monday, March 25, 2019 at Shingle Hollow Congregational Holiness Church. The funeral service will be at Shingle Hollow Congregational Holiness Church at 3:00 PM, Monday, March 25, 2019 with Reverend Jamie Pascarella and Reverend Jack Crain and Kenneth Linder officiating. Interment will be at Shingle Hollow Holiness Church Cemetery. Online guest register at www.mcmahansfuneralhome.com. McMahan's Funeral Home & Cremation Services in charge of the arrangements.